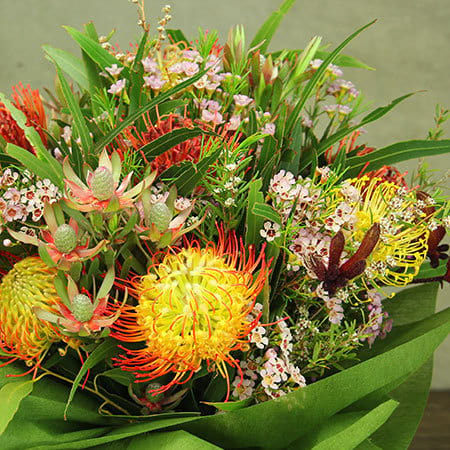 Our summer native flower vase is a classic design featuring a fresh and abundant mix of natives including kangaroo paw, banksia, Geraldton waxflower and leucadendron. 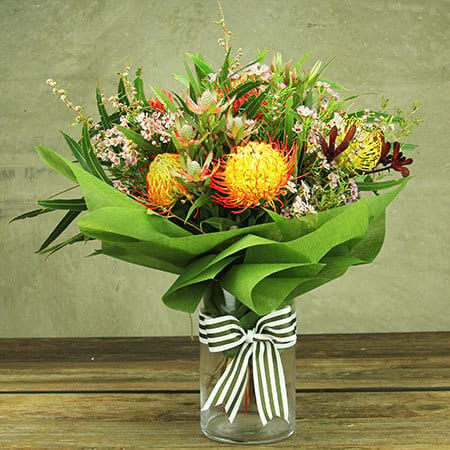 Delivered in a glass vase, this natural arrangement of native flowers in warm, earthy tones is long lasting and great value. 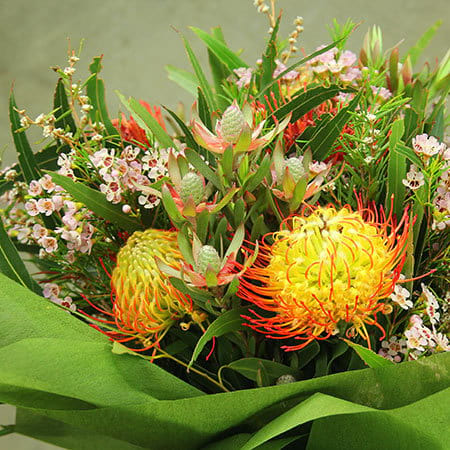 Tip: Add a bottle of wine, chocolate or fragrant ECOYA diffuser for an extra special gift!